BEST PLANNERS TO START THE YEAR WITH A BANG! Now it's time to get back on track and organize our lives to achieve all those goals we have in mind. However, I feel like there is A LOT of pressure on social media and in our society in general regarding the resolutions or goals topic. Everyone is telling you that you have to write down your new year's resolutions and to set your goals by January 1st or you won't succeed. Well, I couldn't disagree more! And let me tell you why. I truly believe that we all have our own times and see things with different perspectives so please, don't feel like you need to have that calendar filled out and every day perfectly planned since January. You can set your goals quarterly, monthly, weekly or even daily if that works for you. YOU DO YOU, BOO! That being said, I want to share with you the best 2018 planners to start your year with a bang! 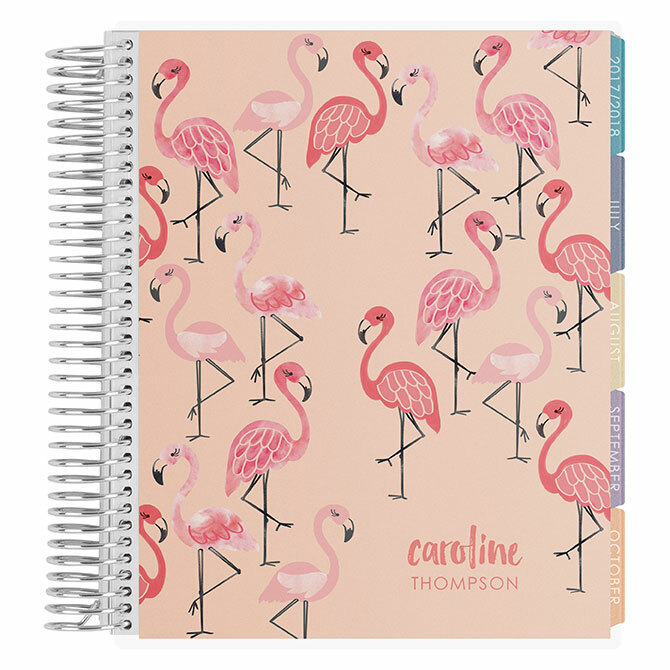 Erin Condren: These are probably the most popular planners out there and with a good reason! Erin Condren has so many options available. Whether you need an academic planner, a teacher planner, a monthly planner or even a wedding planner, you will find it here. There are so many cover design options to find the one that fits your style the best. However, my favorite part has to be the customization options! You read that right, girl! Choose your favorite layout, color scheme, coil and even add your name, initials or any other word you want to your cover. If you want to have a unique and fun planner, Erin Condren is the way to go! 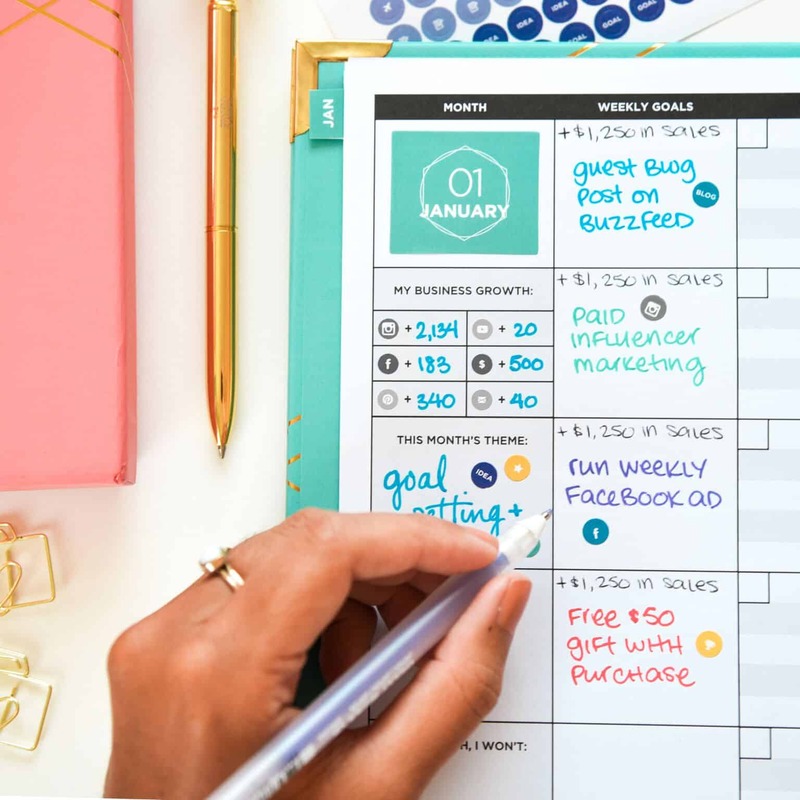 Simplified Planner: Let me just start by saying that Emily Ley, creator of Simplified Planner, is one of the women entrepreneurs that I admire the most. She started her business in 2008 and has build an amazing lifestyle brand ever since. Her planners are, like their name implies, simple and beautiful with just what you need to make the best out of your day. I have used her planners for the past three years and loved every second of it! Actually, Emily has just announced that they have completely sold out but you may be able to still find some at your local stationery shop. Also, their Academic Planners (August 2018-July 2017) will be launch on May 2nd so don't forget to set your alarm! In the meantime, I totally recommend you to read her amazing books: "Grace Not Perfection" and "A Simplified Life". I loved the first one and can't wait to finish reading the second one. Probably the hardest decision was choosing the cover because they are all so cute! Finally, I decided to get a Flagship Edition in the Desk Bliss cover and I LOVE IT. You can see an example of a planning page below. I really like how this planner dedicates some space for a daily gratitude note and also a reminder or what I need to cook for dinner! Ban.do: Ban.do (pronounced "band-oh") planners have always been some of my faves because they are so much fun and they always come up with so many cool covers. Also, you can choose between the 12 and the 17 month editions and get matching accessories for that #bossbabe workspace! For the most affordable options (resellers rarely match their discounts) and fun bundles, go directly to Ban.do's website here! Happy Planner/Create 365: The best part of these planners is how customizable they are! Because of their disc bound, you can interchange covers, add or remove sections, include dedicated extension packs (budget, fitness, meal planning, etc). You can find many bundles and accessories here! Plum Paper Planner: I personally haven't had a chance to try Plum Paper planners but so many people rave about how amazing they are so I decided to include them as well. The cool thing about these planners is that they take customization to the next level! Seriously, you basically create your own planner with their online tutorial. You get to choose everything from layout, cover, sections, length and starting month. Plus, they have special editions for teachers, students and homeschool teachers. 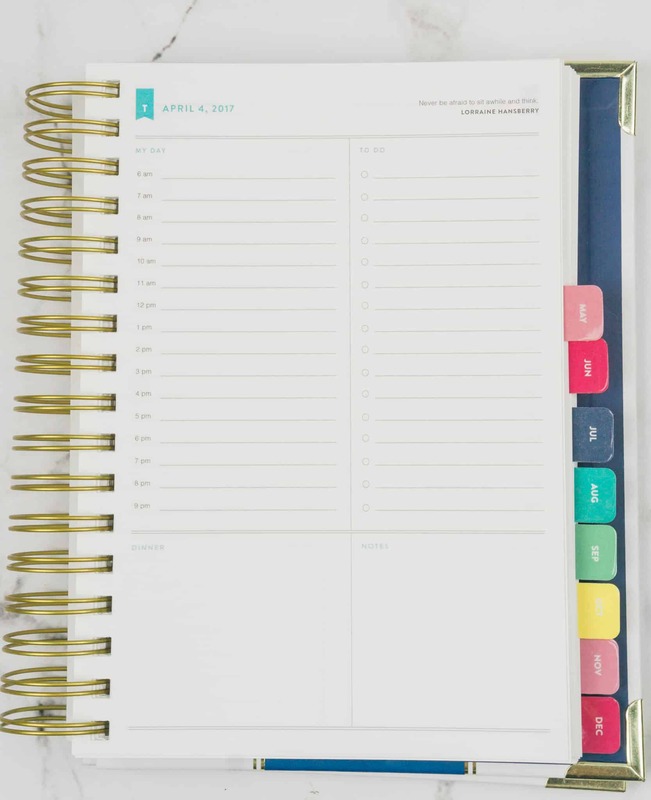 If you feel like there is no planner that fits your organizational needs, definitely give this one a try! Living Well Planner: This one is a really cool all-in-one planner that goes beyond your daily schedule. It also includes sections to plan your budget, keep track of your expenses and plan your meals and shopping lists. The Living Well Planner is currently on sale and you can find it here. Passion Planner: Passion planners are all about setting short and long term goals and defining a roadmap to reach them throughout the year. They come in four different editions (Academic, 2018 Dated, Undated and Limited Edition) and you can even choose between Eco Sets, Eco Sleeves and Bound depending on which style you prefer. My favorite one is this Classic Blue Blossom but there are other colors to choose from as well! Find it on their website and Amazon. InkWell Press Planner: InkWell Press goal is to help you live with intention while focusing on priorities and boosting your productivity. Their planners are available in daily, weekly and quarterly editions and they all come with different cover options in the cutest colors. InkWell Press planners come with several goal setting pages, habit trackers and even include project planning sections! Panda Planner: This non dated planner comes in four different colors and includes daily, weekly and monthly sections. 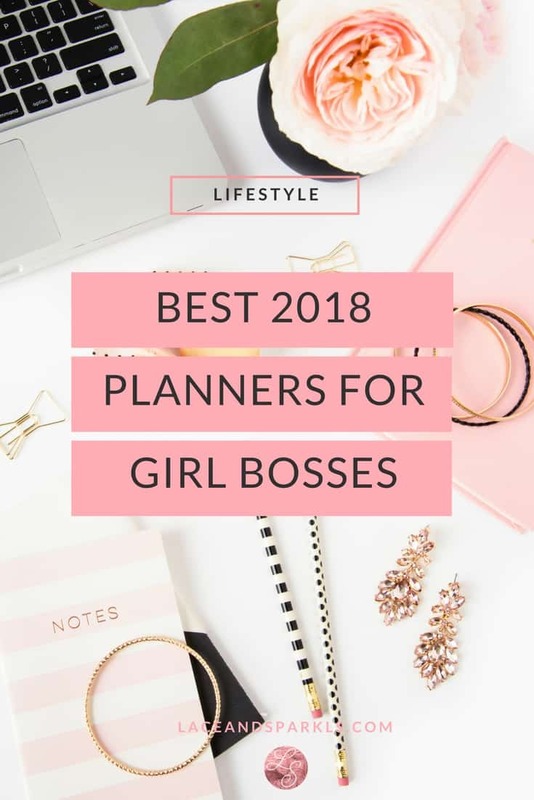 They all have the "Panda Planner System", which is a really complete approach yo help you achieve work/life balance and keep you accountable along the way. Panda Planner's daily layout is very different compared to all-purpose planners' but that's the best part about it! This planner lets you work on your schedule and also reminds you about your gratitude, affirmation and focus for that particular day. Find it here! PowerSheets by Cultivate What Matters: These are technically not planners but more of a complement to them. PowerSheets are really popular intentional goal planners that many people claim are life changing! They come with goal action ideas, monthly/weekly/daily tending lists, relationship tending, cultivating gratitude, what fires me up, things I want to learn/things I learned, and so much more! Oh and did I mention that they also have their own and exclusive Facebook group? Their one-year edition is already sold out but you can still get the undated six-month edition that comes in three different colors. You may have seen in my Instagram Stories that I have just received mine (in Poppy Pink of course) and I can't wait to start using it! I will make sure to write another post to tell you all about it. The Content Planner: I showed you guys this planner on my Instagram Stories and told you how excited I was to finally had one! Well, let me tell you something: It's pretty AMAZING! I finally have a place specifically to plan my social media and blog content because seriously, regular notebooks were just not cutting it anymore. We are talking about a fillable 15-month planner, meaning you can start using it whenever you want 🙌🏻 It comes with monthly and weekly goal setting, reference guide of holidays and retail dates, space to jot down your ideas, tips, dedicated spot for hashtags and collabs, all the stickers and the cutest packaging! 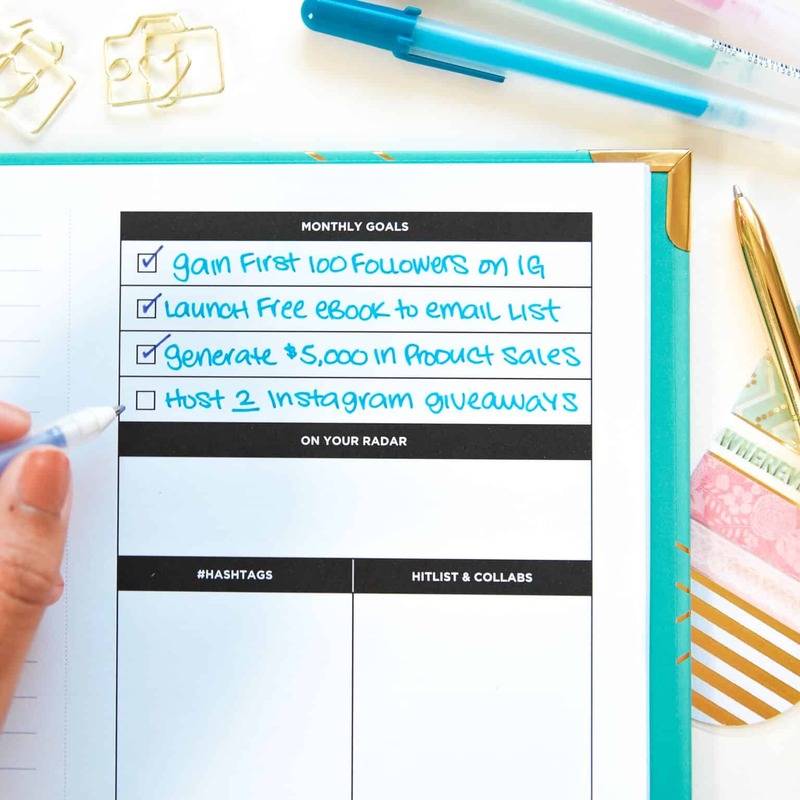 That being said, The Content Planner is the best tool for bloggers and entrepreneurs who want to grow their online brand and master their social media and blog content. Get yours here! 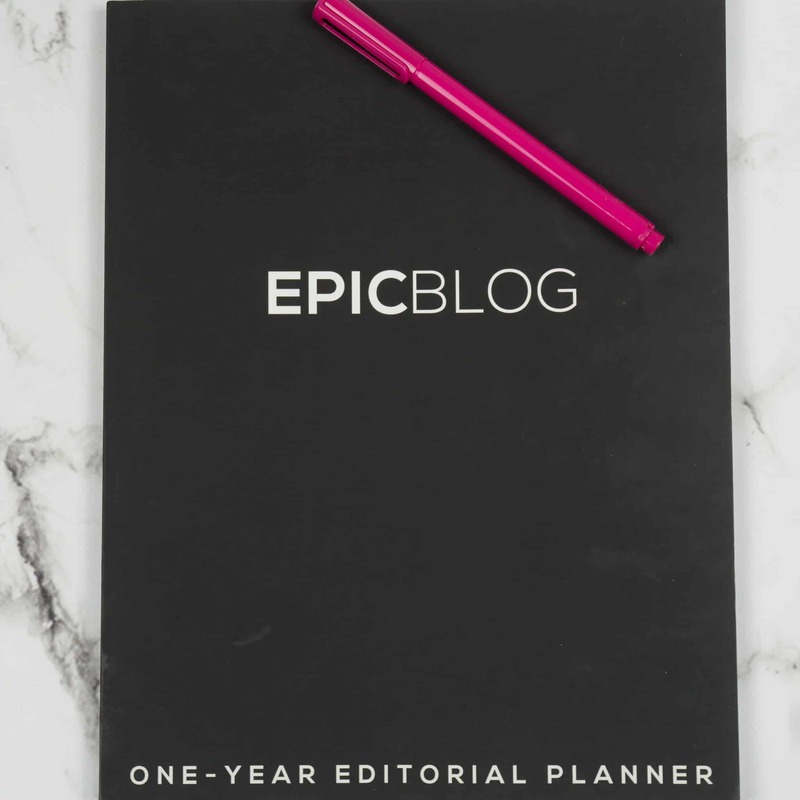 Epic Blog Planner: This planner was created by the amazing entrepreneur Regina Anaejionu and it's basically an editorial planner that will help you come up with content for your blog through a mini business plan. You can set your goals, track your progress and key stats, brainstorm blog post ideas, products, collaborations, and everything else you can imagine! 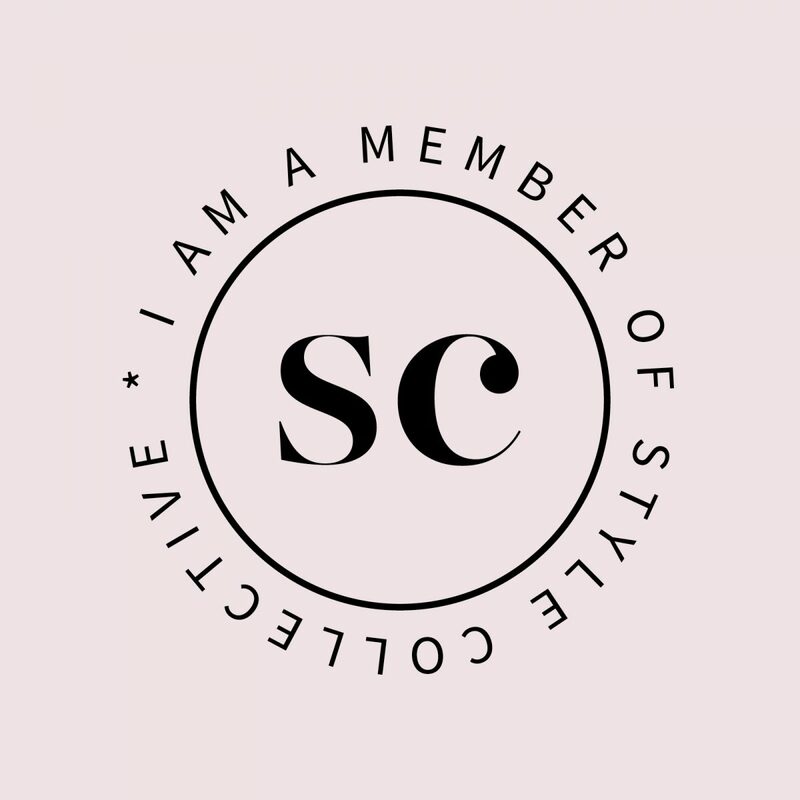 Blog Planner: This planner was just launched last month and was created by the popular décor blogger Gemma Bonham-Carter (check out her blog here). 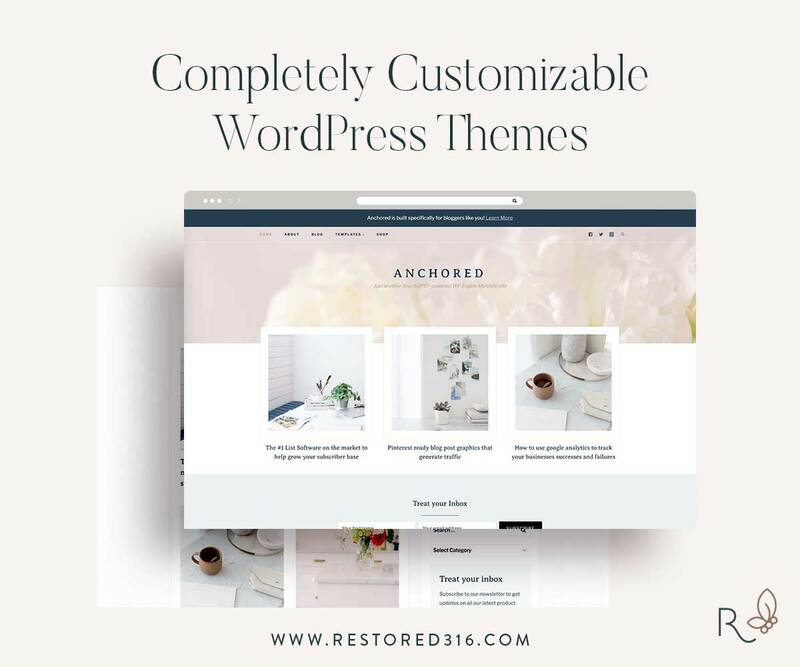 It's a 90-day framework planner divided into quarters that features guided strategy areas where you can define your blog, identify your audience profile, brainstorm ideas and track your growth. See more details here! Your Best Year 2018: This one is a productivity workbook and online business planner perfect for entrepreneurs who are ready to make things happen! It will make you analyze every single detail of your business, what's working and what's not and come up with a strategy that will help you reach your goals once and for all. Get it here and also check out their Life Edition! 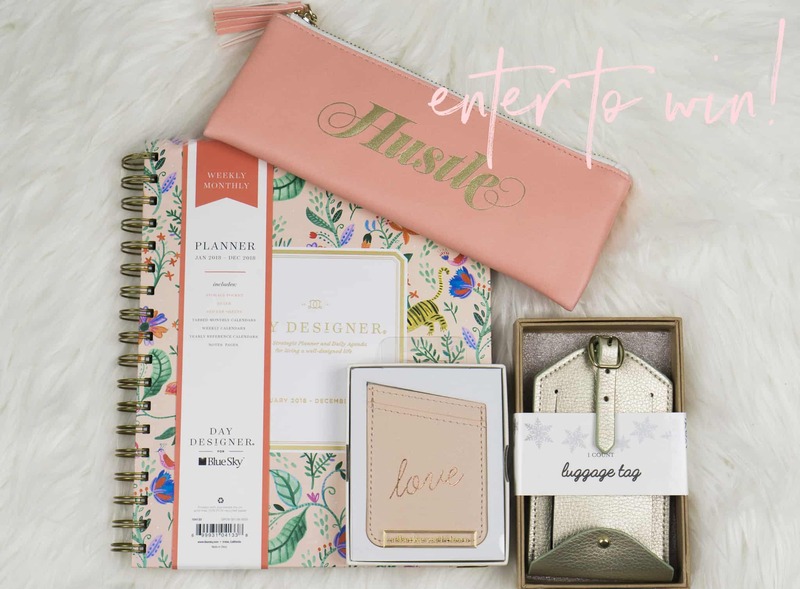 * This giveaway ends on Thursday 1/18/18. 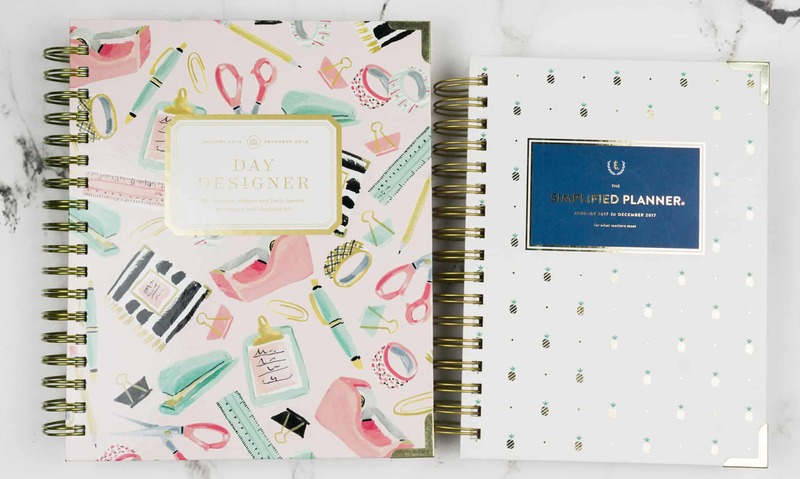 Have you tried any of these planners before? Let me know in the comments which one you are using this year 👩🏻‍💻 And don't forget to go at your own pace and enjoy the ride! This is such a great post! Thank you so much! I bought a cheap planner but definitely doesn’t have enough room for everything I need and now I am shopping for a planner!! We stayed home and enjoyed our new pup too! I’m planner obsessed, so I’m so glad I saw this and got inspired! Thanks so much, Emily! I’m such a planner/journal hoarder 🙈 Happy planners are so cute and easy to customize! I had no idea there were so many types of planners! I’ve always been confused on how to use them, is it annoying carrying it around? What do you do after the year is over? I keep a detailed digital calander though. Hahaha I totally understand! I’m super techy but for some reason I feel like I need to write everything down in paper. Otherwise I’ll simply forget about it 🙈 I guess I’m just getting old 😂 Will definitely check out Jane Davenport’s planners too! Wow, I love this post!!! You have the most amazing planners, trying to decide which one I should get!! They’re so cute!! I love planners, so I’ll definitely try some of these out! WHOA! That Content Planner is AMAZING! I really want that! I also love the designs in the Day Designer Planners! These are so cute! There are so many planners that I didn’t know about! My favorite are the Eric Condren ones, and I just got my new one earlier this week. I need to check out those goal based planners though! I actually have an illness when it comes to buying stationery and planners is definitely one of my vices! I have two this year – one for my events and life schedule and the other for planning blog content! Thanks for doing such a great giveaway! & I’m checking out all these great planners, I’m such an OCD control freak sometimes. These are so soothing and organized. Thanks so much for reading and entering my giveaway, Anne! Hope you find the perfect one for you! I love the Day Designer! I currently use the Purposeful Planner and absolutely adore it. Will definitely check that one out too! Thanks, girl! Crazy enough, I haven’t tried any of these planners! I feel like I’m seriously missing out – especially because I love being super organized. I loved my Ban.do planner last year and this year I’m making do with a fabulous one I snagged at Target! There are so many good ones!! I’m such a planner/journal hoarder haha Target has been getting some great ones lately! Never knew about such variety of planners. Also, each one’s cover is so cute which makes we wanna buy all, hahah. Hi Celeste and thank you so much for such a comprehensive post. This has really helped me out because I got completely sold by the advert for “The Panda Planner” but having looked at them all I think I would be better off using something more like The Epic Blog. 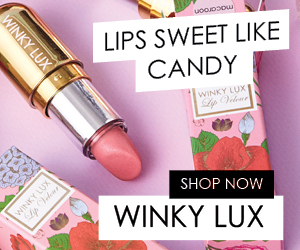 I’ve have a good look at everything – thank you so much for recommending such cool products. I have pinned my favorites so I remember them and am off to discover “The Epic Blog”. WOW! What great planners. 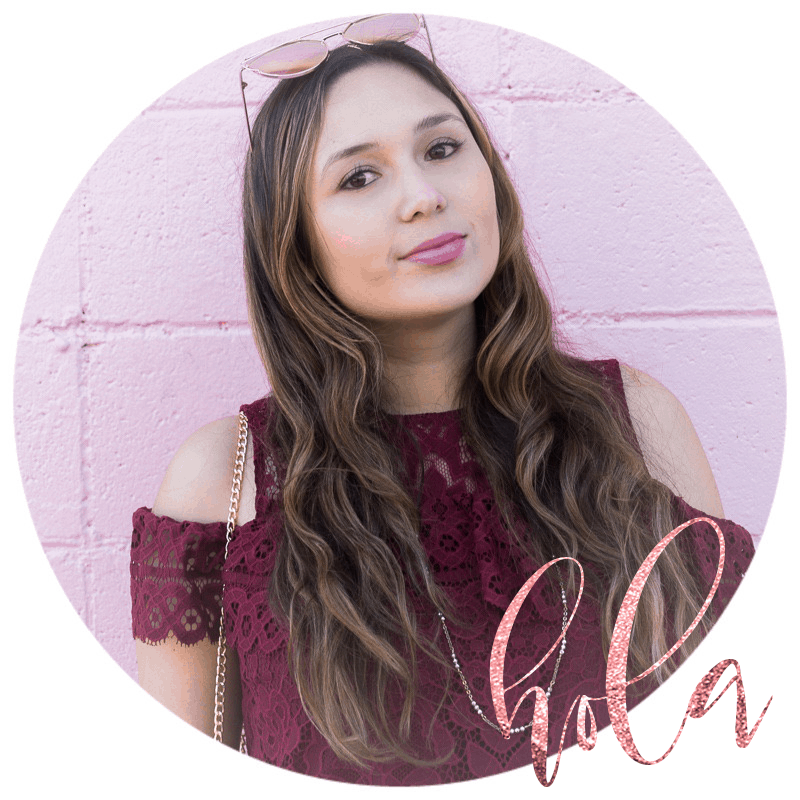 I adore the blogging planner. I need to get one! They are a total game-changer!! 😍 Thanks for reading, Amber! Love this post! Definitely a great selection of planners you’ve listed out for every category! I most definitely try to get a different planner every year, but find myself coming back to the Day Designer. I love the amount of space I have in the planner to plan each day. Thanks so much, Zobia! I’m glad you liked my post 💕 I was using the Simplified Planner but decided to give the Day Designer a try this year and I’m in love!! I love planners. I print my own and use a disc system. That way I can organize the pages however I need to. That’s such a great idea! Thanks for reading, Gillian! This is really awesome, thank you for this! I’m slowly getting into planners and I’m eyeing those for blogging that you mentioned. I’ll look into them more! Thanks for reading, Brenda! I’m glad you liked them 😊 And yes, those blogging planners are total game-changers!! 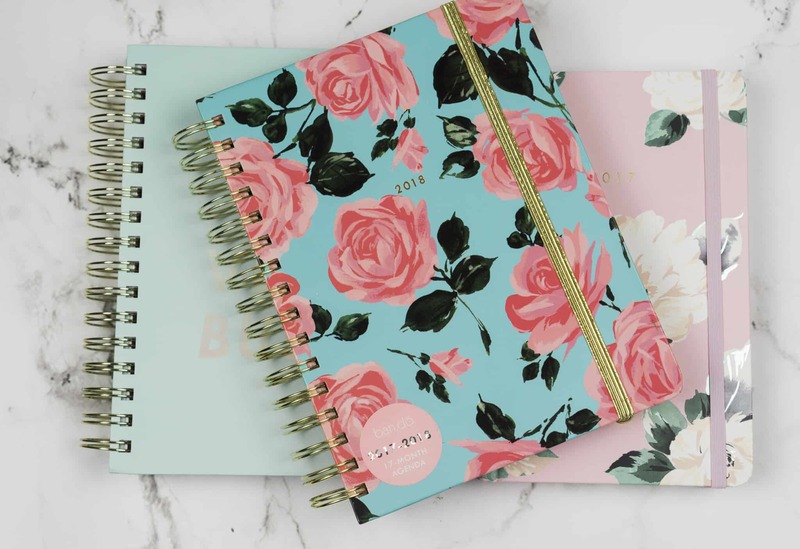 I’m typically an online planner and not really a book planner, but I think I might have to make an exception as these book planners are so cute! Oh my gosh where were you a 2 weeks ago when I was on a desperate hunt for the perfect planner/diary for this year! I settled for one I found in Officeworks but now I totally want one of the blogging planners! It sounds like just what I need! I know!! 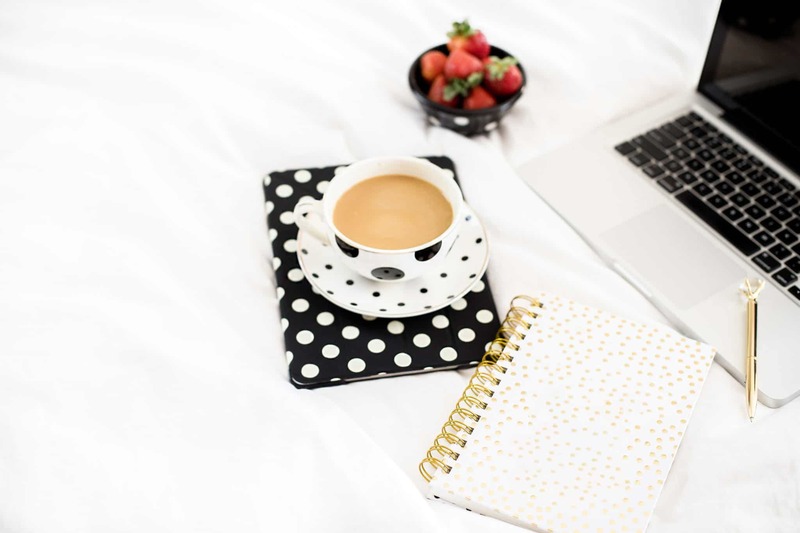 I had this post planned like a month ago but of course, life happens and my holiday season was a bit busier than I expected 🙈 You should definitely try one of the blog planners! They’re a total game changer!! Awesome picks! Say, do you know of any blog planners out there that are specific to the pet care niche? I run The Meow Place, a cat care blog, and I’ve been looking for a good planner to help me get my crap together. These are such cute planners! Thanks so much for reading, April! i LOVE my bando planner! i don’t go anywhere without it! They are so much fun and have the cutest covers! I started a bullet journal this year, and for me, it’s working! I love all the ideas out there that you showed! What a variety! Finding what works for you, is what is most important. And you shared that well! Thank you! Thanks so much for reading, Becky! As you mentioned, the most important thing is finding what truly works for you and your lifestyle! Omg I’m obsessed with planners. I have way too many already and you just made me want to purchase the Day Designer! So pretty! Sorry!! I’m such a planner/journal hoarder 🙈 And yes, Day Designer is GORGEOUS!! There’s nothing like starting a new planner each year. SO many great planners out there, I love how you outlined each one… the hard part is choosing! Thanks so much, Amanda! I’m glad you liked it 💕 And you’re definitely right, choosing one (or two) is the hardest part! I’m such a stationary nerd and this post had me in heaven! I’ve already got two planners but maybe I need more….. Thank you for sharing these planners.😃 I’ll keep this list and hopefully try them out. They all look enjoyable. So glad you liked them, Nina! I hope you find the perfect one for you! I absolutely love planners!! And these ones are all so cute! Thanks so much Mattie! Glad you liked them! Thanks for reading, Mattie! Glad you like it! My best friend gave me an Erin Condren planner last Christmas and I LOVED it. There’s just something about being able to write everything down. I think I’ll always use a planner! Exactly!! It just feels so good knowing that I have everything together in one place so I don’t miss any deadlines. I’ve used Passion Planner but I have switched to a Get To Work Book planner. I ended up with an unpunched A5 version to put in a discbound planner. I manage a restaurant and it works for me with all the things related to that. I’ll definitely have to give The Content Planner a try once 2019 rolls around. I always like to try a new kind of planner each year just to see if I can find something that “vibes” with me better than whatever it is I was already using.